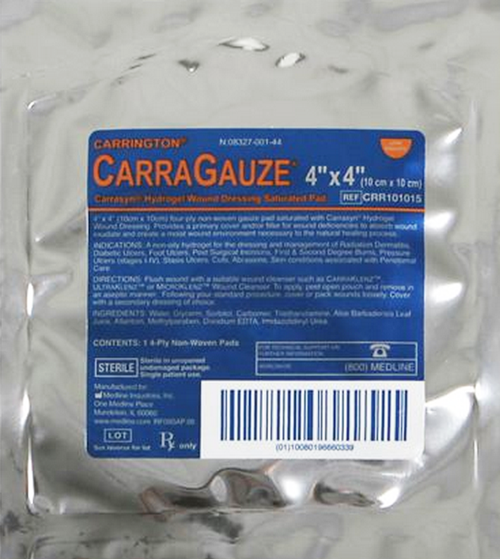 CarraGauze Dressing are wound pads saturated with Carrasyn Hydrogel. 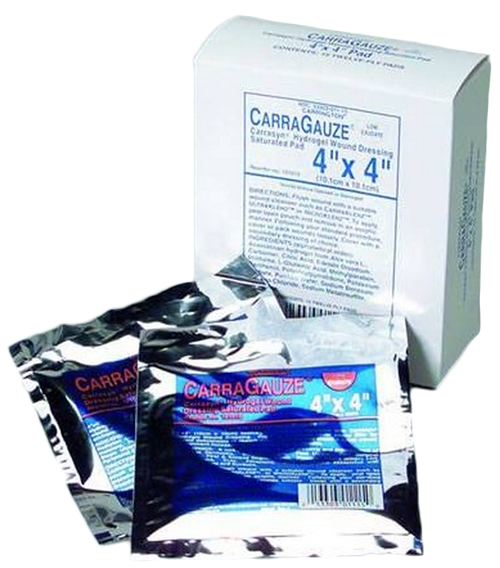 Ideal for the management of stasis ulcers, pressure ulcers, burns and post-op wounds.CarraGauze is saturated with Carrasyn® hydrogel formula. 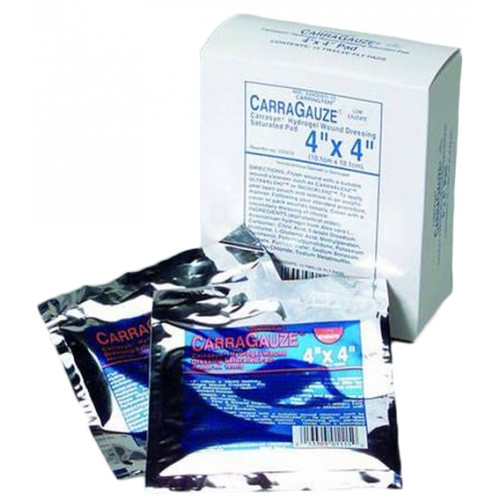 These 4-ply gauze pads are excellent for packing or lining wounds. 4 x 4 Pad. Latex Free.